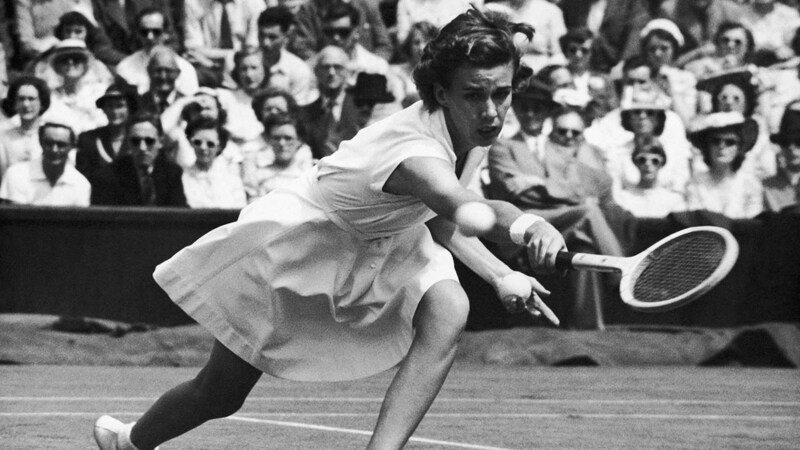 MIAMI, FL -- Tennis great Doris Hart, who won each Grand Slam tournament at least once, and once won three Wimbledon titles in a single day, has died. "That I think is unique in itself," said 86-year-old friend Jacqueline Mulloy, who met Hart 12 years ago through husband and former tennis player Gardnar Mulloy. "I think she should be remembered as a unique and wonderful player. She had plenty of guts." "She is someone I looked up," said Fales, 74. "She was a great champion and great competitor with great integrity; a wonderful representative of the sport." "Everybody thought she had polio, because she was a little bowlegged," Fry told The Associated Press in 2004. "For her to do what she did was special because she couldn't run as well as other people. And yet she had the smarts." "I'd be criticized," she told The Associated Press in 2004. "I can remember losing matches, and people would come up to me and say, 'Girl, do you know how many times you missed that drop shot? If you hadn't done that, blah blah blah.' And I'd say, 'Thank you.' But I knew I had to do it. That's what would win for me." "There's really not much strategy involved," she says. "It's not that appealing to watch, I don't think."